→ The rates quoted are based on your period of stay. Rates are subject to change as a result of changes in your arrival and/or departure dates. → Rate is for 1 or 2 adults only. → The maximum number of guests per room is either 2 adults + 1 children (below 12 years old),. 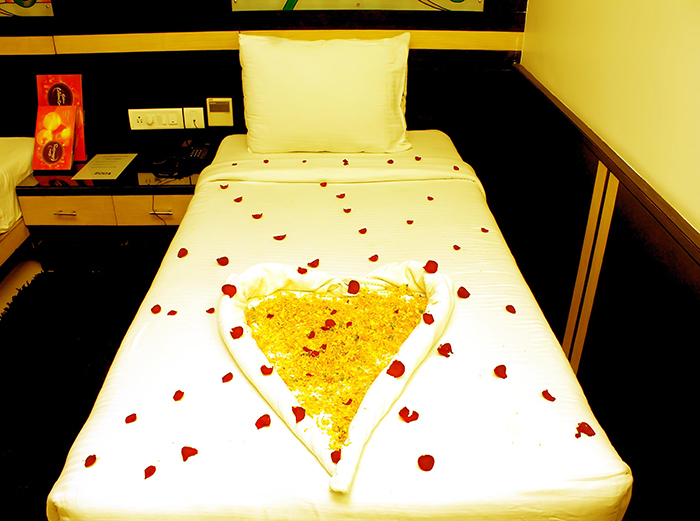 A Rs700 + GST fee will be charged for each additional adult staying in Deluxe or Premier rooms. Children who are 12 or younger sleep for free in the existing bedding of a room shared with a paying adult. Fees apply should a roll away bed be required. Please contact the hotel for more information. → In the event you complete a booking based on a rate that has been incorrectly posted, the Hotel reserves the right to correct the rate or cancel the reservation at its discretion, and will contact you directly in order to do so.